Quick Question For You: Do you want a Data Science job? After helping hundred of readers like you get Data Science jobs, we've distilled all the real-world-tested advice into a self-directed course. Data Science Resume Guide. This guide shows how to make your resume promote your best parts, what to leave out, how to tailor it to each job you want, as well as how to make your cover letter so good it can't be ignored! From self-driving cars and recommender systems to speech and face recognition, machine learning is the way of the future. Would you like to learn the mathematics behind machine learning to enter the exciting fields of data science and artificial intelligence? There aren't many resources out there that give simple detailed examples and that walk you through the topics step by step. 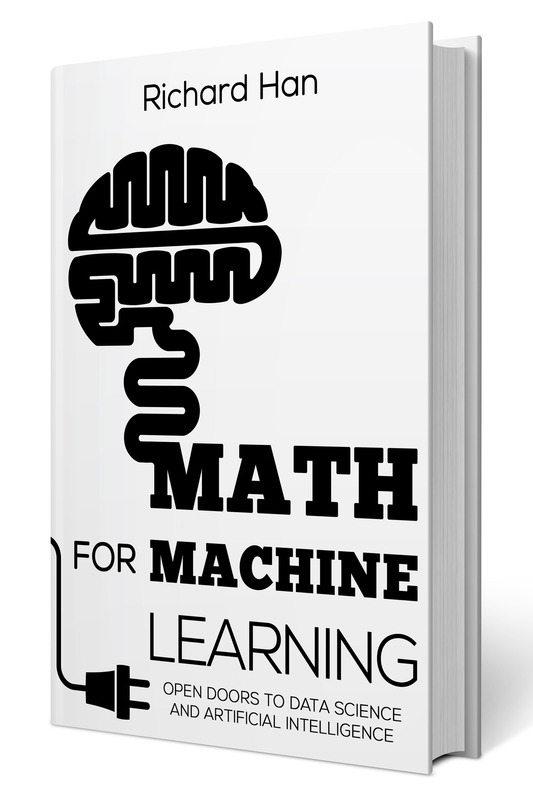 This book not only explains what kind of math is involved and the confusing notation, it also introduces you directly to the foundational topics in machine learning. This book will get you started in machine learning in a smooth and natural way, preparing you for more advanced topics and dispelling the belief that machine learning is complicated, difficult, and intimidating. "Your book is by far the best I’ve found for understanding the derivations of machine learning algorithms. I love that you don’t skip steps and that you provide clear examples." --Robert H"